For additional information about a Toy Poodle from Cypress use the comment section in the "Contact Us" form for questions. To be considered for a Cypress toy poodle, please go to the application and tell us a little about you and the home you offer. If you prefer to call or text us we always enjoy talking Toy Poodles. If busy when you make contact, we will get back with you. If a puppy is sold as a family pet, the puppy will be placed on a Limited AKC Registration, (not sold for breeding), to help ensure they are going to their new home as a loving family member. Please do not inquire unless you have owned your dog(s) for many years, provide an interactive home life, have time in your life for a puppy and want a lifelong companion to grow older with. We strive to continue with wonderful relationships and happy homes for Cypress Toy Poodles like those we now enjoy. Although in certain circumstances we will ship, we prefer to meet prospective owners in person, and introduce you to the rest of our dogs. We are here to answer questions both before, and after placement, and to help with the adjustment period and beyond. Additional photos and video will be made available of the puppies as well as our facility and other dogs. If you have a puppy from us we welcome your photos and videos with family, other dogs, at play, happy, silly, sad, tired. Please stay in touch, and if you like, we will too, keeping you informed about your dog's family. 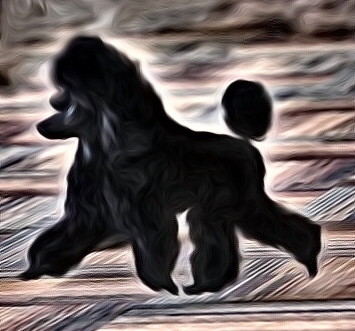 We plan to open a Facebook page for the Cypress Toy Poodle Family and would like to have you join us there.